McMurray Plumbing is a professional plumbing service provider serving residents of North Rocks and the immediate areas. With a reputation for honest, reliable and quality workmanship, McMurray has earned the trust of North Rocks residents as their go-to plumbing expert. We offer a wide range of plumbing solutions from gas and hot water installations to emergency plumbing services, and much more. Reach out to us today on 0404 400 200 and join the hundreds of satisfied customers that we are privileged to have served. 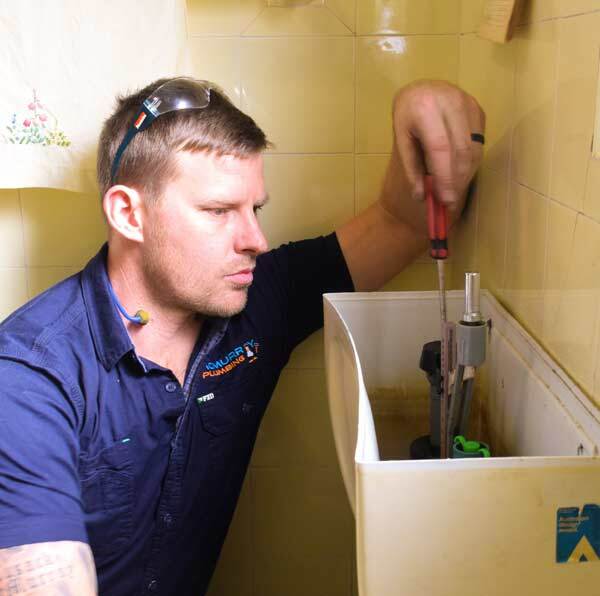 Emergency Plumbing – Our experience over the last 15 years shows the common plumbing emergencies in North Rocks include; blocked drains, showers and sinks, backed up toilets, and choking sewers. We at McMurray Plumbing understand that time is of the essence in emergencies and hence offer fast, on-time response to your call. Gas Plumbing – We are certified gas experts who are licensed to install gas cooktops, gas heaters and gas water heaters. Our professional crew also respond to gas leak emergencies with an amazing response time to control the situation. You also can never go wrong with McMurray for your LPG bottle installation or moving. Water Plumbing – we also fix broken and leaking taps, showers, faucets, toilets, bathtubs and sink basins. Our qualified crew can also check out the insistent water hammer that is giving you sleepless nights. Leave us an email at steve@mcmurrayplumbing.com.au and we’ll get back to you right away. For practical, long-term solutions to your perennial plumbing problems in North Rocks, contact McMurray Plumbing today. We offer fast affordable and reliable plumbing services that guarantee 100% customer satisfaction. Please feel free to give us a call today on 0404 400 200 and get a free customized quote for your plumbing needs. McMurray Plumbing is your affordable and reliable plumbing expert in North Rocks.